Our planet is changing at blinding speed toward a state of existence that will no longer support life. If there is not a complete course correction in regard to human activity, total near term global extinction is a mathematical certainty. Industrialized/militarized civilization has virtually no regard for the natural world, it has no regard for the miraculous life support systems of our once thriving biosphere. There is one form of anthropogenic activity that stands out above all others as the epitome of human insanity, climate engineering. Our planet is in total meltdown, the ongoing global geoengineering programs are making the situation far worse, not better. 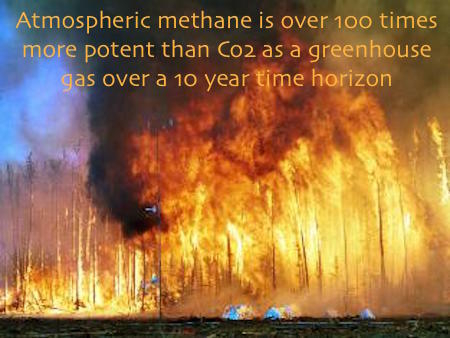 Rapidly thawing global methane deposits will very soon determine our collective fate if the releases continue. Methane is releasing at an ever increasing rate from lake and sea beds around the globe, especially in the Arctic. 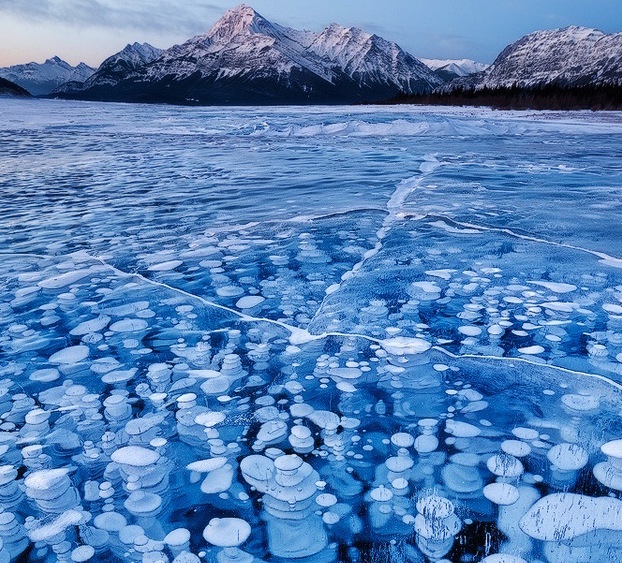 As formerly frozen methane hydrate/clathrate deposits on sea and lake beds thaw, the methane migrates to the surface where it can be temporarily trapped in the ice. As global ice deposits melt and recede, more and more methane reaches the atmosphere. 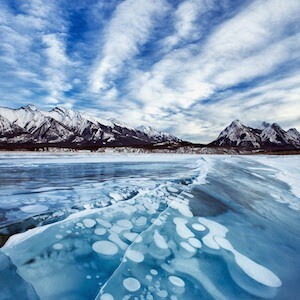 In the photo below, methane is temporarily trapped in the ice. A recent and extremely alarming phenomenon has been occurring in Siberia. 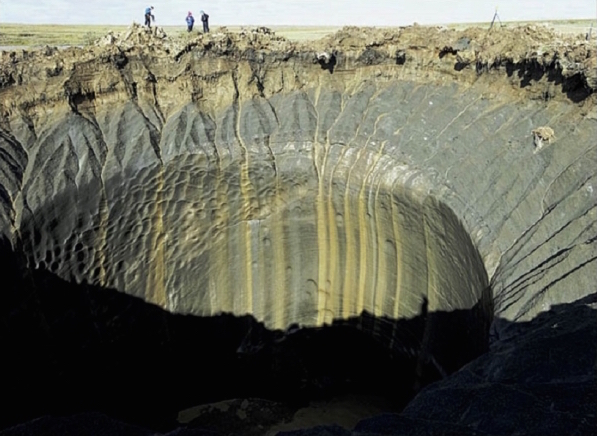 Thawing permafrost is also releasing vast amounts of methane. In some regions subsurface pressure buildup from releasing methane has created massive methane blowholes. 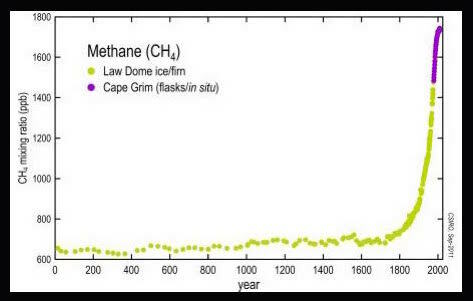 Atmospheric methane is virtually skyrocketing past pre-industrial levels. 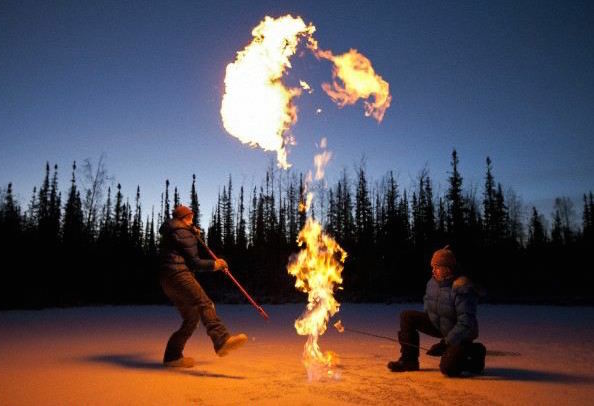 As methane releases, it fuels "climate feedback loops" that trigger even more methane release. The warming and thawing of methane deposits is now so profound that extremely alarming releases are now occurring in regions where such phenomenon has never been seen before. The 30 second video below is one example, this incident has just occurred in Ontario, Canada. Industrialized civilization in its current form has done horrific damage to Earth and is the primary contributor to the runaway warming that is now occurring. 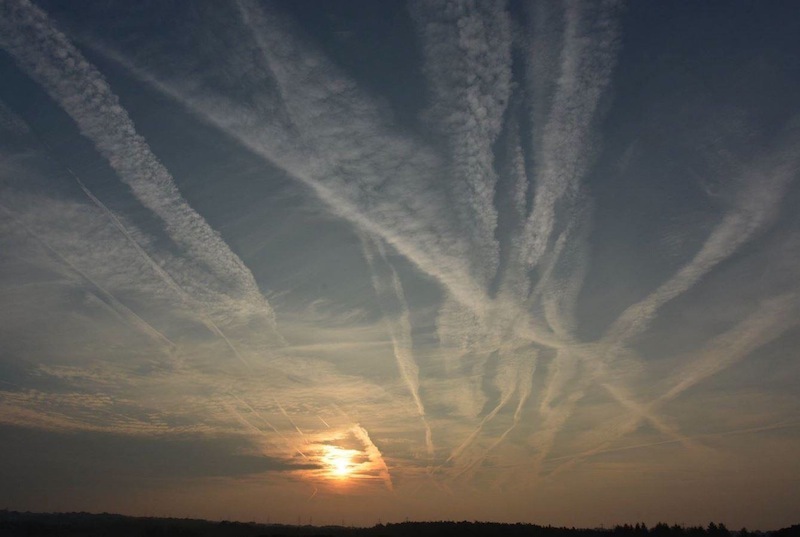 Climate engineering is the pinnacle of industrialized insanity and is fueling the overall planetary meltdown, not mitigating it. If we remain on the current course, "Venus Syndrome" will be the final destination. We must all summon our courage and make every effort to raise critical and credible awareness of our common plight.